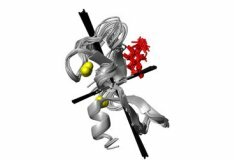 Researchers from across the world are invited to study the 3D structures and interactions of proteins, nucleic acids, carbohydrates, lipids and metabolites at the Henry Wellcome Building for Nuclear Magnetic Resonance (HWB-NMR). We offer a £10m national resource based in Birmingham, providing scientists with insights into the molecular basis of human health, cancer progression and infectious diseases. 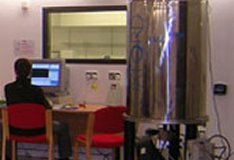 Users are welcome to apply for time on the NMR spectrometers on an hourly, daily or weekly basis through remote scheduling once they have registered. HWB-NMR's annual NMR user meeting takes place on Friday 16 Nov 2018 from 10.15am. Speakers include Rafael Brueschweiler (Ohio), Cyril Dominguez (Leicester), Zuhal Eraslan (Birmingham), Rivka Isaacson (KCL), Beatriz Jimenez (Imperial College), Geerten Vuister (Leicester/Birmingham). All welcome! The new 800 MHz NEO spectrometer console has been installed and the 5mm TCI cryoprobe (with 19F capability) is now available to use. 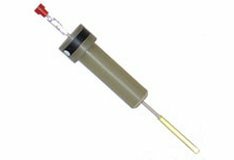 A 1.7mm TCI cryoprobe to follow later in 2018. Free Wellcome-Trust supported access to UK users! Please email Dr Sara Whittaker for access. 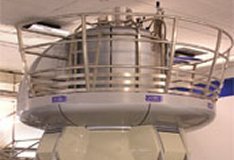 HWB-NMR has been selected by UKRI to host a national 1.0 GHz spectrometer for solution state biomolecular NMR research. We expect to take delivery of the new magnet by April 2020 and for it to be operational in the summer of 2020. Free Wellcome-Trust supported access to UK users! The Wellcome Trust has funded 5 years of free access to the 800 and 900 MHz spectrometers for UK-based users involved in biomedical research from 2018. The award includes a welcome 800 upgrade. Please email Dr Sara Whittaker for access.